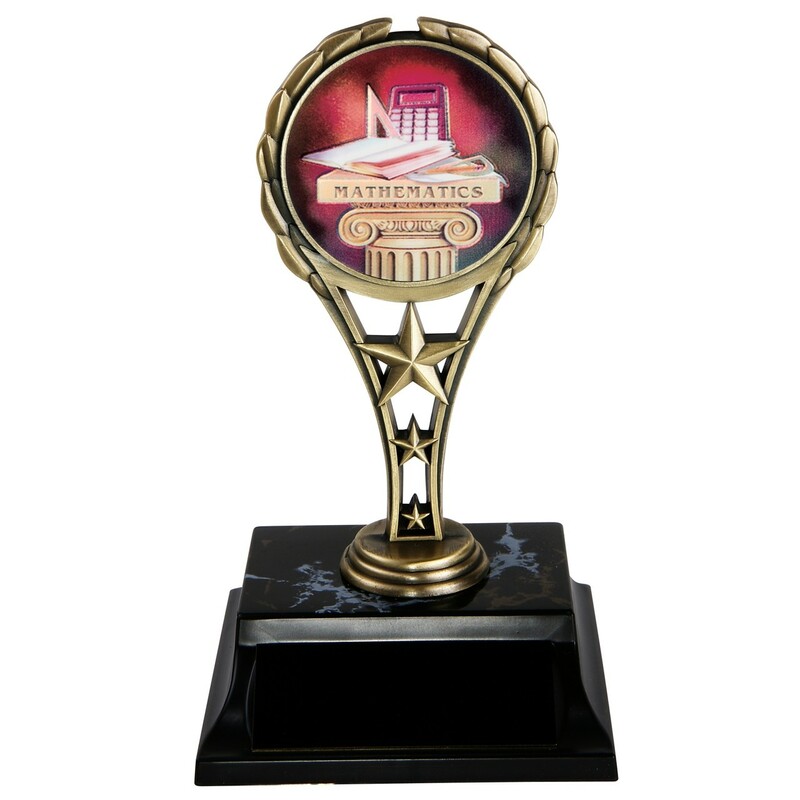 Give these memorable Colorful Math Rising Star Trophies to your amazing math students! These trophies feature a hologram of a calculator, a triangle, and a book. They stand 6 inches tall and include 3 lines of engraving.